A quick survey of some of the public submissions on the development of Australia’s model OHS Act illustrates the challenges facing the government after it decided not to include a requirement for only people who are “suitably qualified” in OHS to provide advice to business on workplace safety. Organisations across the political spectrum have spoken in favour of including “suitably qualified” but “suitably qualified” is in the eye of the beholder. Several labour and trade union organisations believe that health and safety representatives (HSRs) are “suitably qualified” or “suitable qualified” people should assist HSRs in their work. Queensland’s OHS legislation had a system of Workplace Health and Safety Officers who were required by every company that had over 30 employees. The Australasian Meat Industry Employees Union says there should be an “employer obligation to engage a suitably qualified person to assist in H&S”. 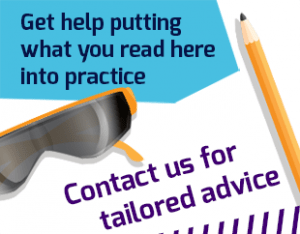 “We contend that OHS Permit Holders must be competent to provide OHS advice and must provide a valid reason to justify entry, the only valid entry criteria being to assist the resolution of a reasonably suspected, specified contravention of the Health and Safety Act. To be effective they must comply with and support site/organisational procedures to enhance site health and safety outcomes and must not intentionally and unreasonably hinder or obstruct any business/undertaking or intentionally intimidate or threaten any business/undertaking or employee. Suitably qualified in this context must also contemplate that they must not disclose information obtained in accordance with the OHS permit for any purpose other than to assist the resolution of the suspected contravention and must not take copies of documents: if serious concerns exist the Regulator can be requested to attend the site, they will request copies of relevant documents if required. There are several challenges for the Australian Government on this issue of “suitably qualified”. Firstly, it needs to decide whether it can reverse its decision not to include a “suitably qualified” element into the legislation. To do this it would need to acknowledge that the reasons for exclusion do not match the sensitivities of the community. This could be embarrassing but also indicate a flexibility and capacity to respond to community concerns. The government also needs to determine where “suitably qualified” fits. Should and HSR be suitably qualified or should this only reflect the OHS professionals? In both cases it puts the governmental up against the commercial training organisations and the university educators (the OHS professional associations have far less clout). Some academics see the lack of the inclusion of “suitably qualified” as providing a lower level of workplace safety. Many of these submissions see “suitably qualified” as existing well above the level of HSRs to the professional level. “We the undersigned Professors of Occupational Health and Safety strongly recommend that the words “suitably qualified”* be inserted as appropriate in the model legislation in relation to the acquisition of advice regarding the health and safety of workers. Our recommendation is based on the continuing high cost to the community in dollar terms and human suffering in relation to both work place (sic) injury and workplace induced illness which often has long latency and serious medical consequences. Addressing such serious issues requires properly qualified professionals. The professional practice of OHS management requires skilled professionals with a sound foundation in the physical and health sciences as well as a strong knowledge base in the core OHS areas of health, safety, ergonomics, law, hygiene and toxicology and OHS management systems. The universities across the country are offering professional entry programs at undergraduate and post graduate levels that are developing the OHS workforce. To sustain this workforce and ensure continued reduction in the societal cost of workplace injury, illness and death there must be recognition of the professional basis of OHS practice and it is imperative that this recognition is reflected in the harmonised legislation. Mike is very committed to improving health and safety of the Australian workforce and it is clear that the moral imperative is king. But it must also be noted that education thrives on the recognition of qualifications and a legislative requirement for suitably qualified OHS professionals would strengthen the case for the viability of tertiary OHS courses which, according to some sources, are in a perilous state. The OHS training industry has done themselves a disservice for decades by not having a formal OHS management course for safety or business managers. There is a big difference between training an HSR to manage upward to the employer and training a manager to manage the safety of a workforce. Leaving executive training to the tertiary sector has exposed a large vocational hole in business management of workplace safety. “Many safety professionals are concerned that “suitably qualified” has been omitted for the proposed legislation. I think the reason given for its omission is poor but I do not support those who advocate the inclusion of the concept. The push has been particularly strong from Victoria and through a couple of OHS professional associations. No evidence has been made publicly available for the need for such a concept. It is something Victoria has had and it is loathe (sic) to relinquish. 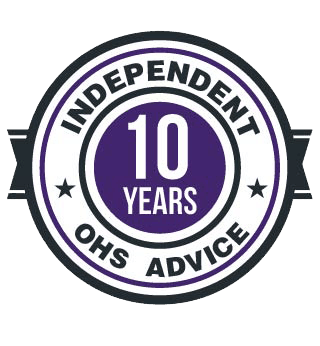 Good OHS advice is available from good OHS advisers and caveat emptor should apply on OHS advice as with any other. I agree and by lobbying the business schools and by having OHS tertiary courses accepted outside the engineering faculties would have been ideal. I remember (almost) completing a Graduate Diploma in Risk Management which had OHS at its core. It left me with a hybrid of risk management and safety management which seemed to apply best in the local government sector but it provided me with a broader understanding of where safety fitted into the corporate structure. Your MBA point supports my wish that many of the OHS associations and submitters had offered a plan B on establishing a commercial credibility for OHS so that the need to use a \”suitably qualified\” OHS adviser would be self-evident and not reliant on legislation. There\’s not an MBA course in the country that has an element of OHS.